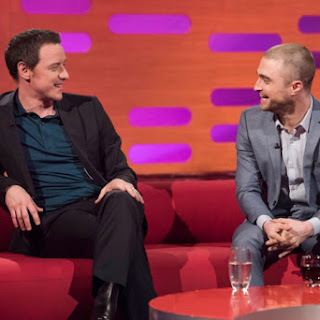 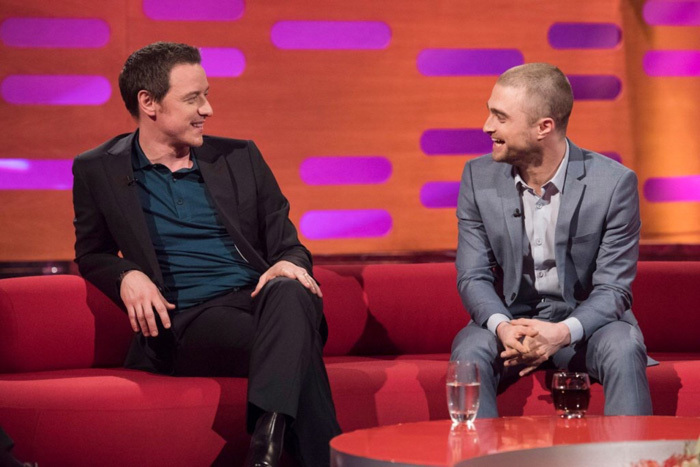 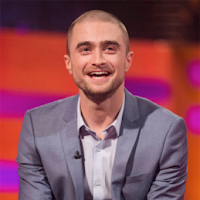 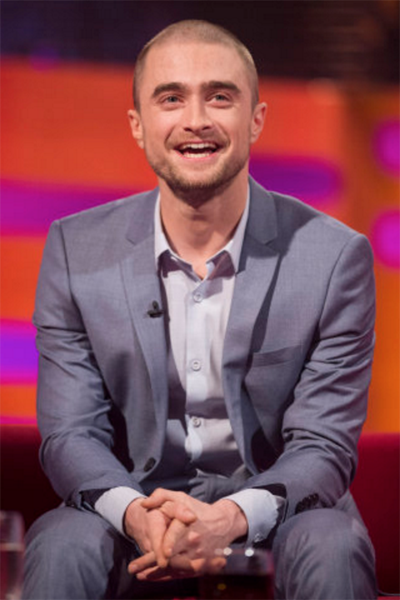 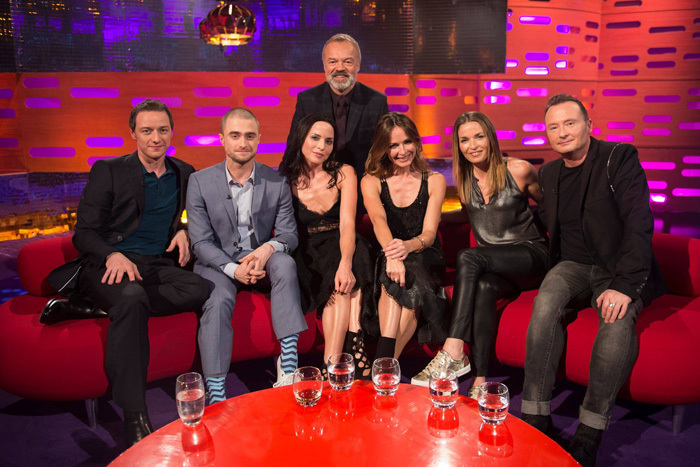 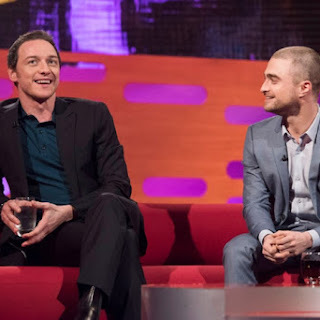 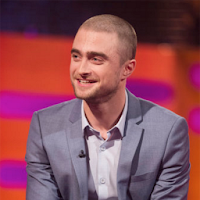 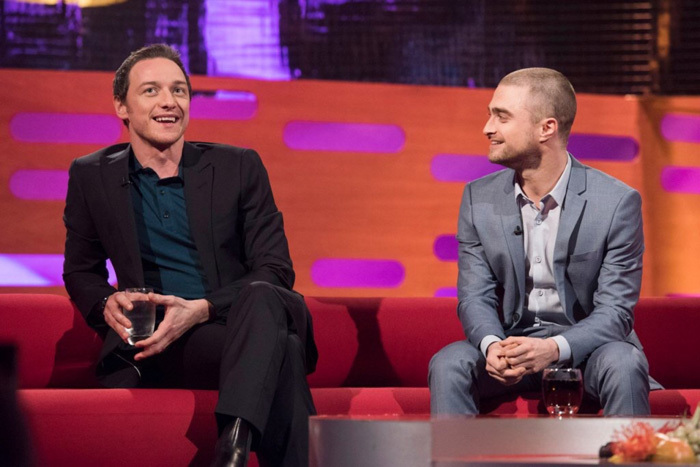 Daniel Radcliffe and James McAvoy were guests on The Graham Norton Show promoting Victor Frankenstein. 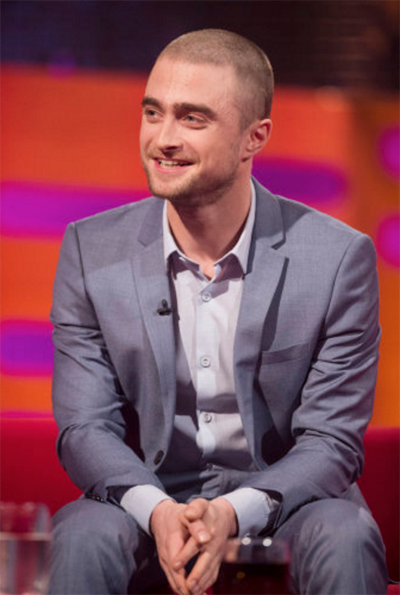 Daniel also brought his 2015 Rear of the Year Award -he talked about it at the San Diego Comic-Con- to the studio. 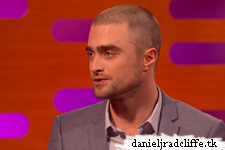 The show aired yesterday on BBC One and if you missed it you can watch it below.